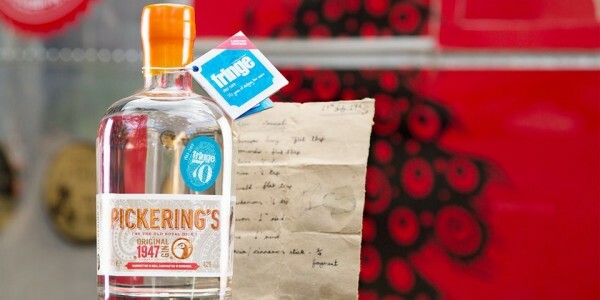 It all started when Pickering’s Gin founder Marcus Pickering received a scrap of brown paper from his late father's friend. This ‘scrap’ turned out to be a handwritten, original Bombay gin recipe dated 17 July 1947, and kept as a family secret for over 66 years. Together with co-founder Matthew Gammell, Marcus has built a business around the recipe, making spectacularly smooth, flavoursome gins in Edinburgh's first exclusive gin distillery for 150 years. Taking the handwritten Bombay gin recipe, Matt and Marcus set about experimenting with the original botanicals and quantities. After a little fine-tuning, and tweak here and there, Pickering’s now produce three delicious styles of gin – the signature Pickering’s Gin with 9 botanicals; the closest to the original recipe Pickering’s 1947; and the Naval strength edition which commemorates Pickering’s becoming gin sponsor of The Royal Edinburgh Military Tattoo. There are 9 botanicals in each edition of Pickering’s: juniper, coriander, cardamom, angelica (replaced with cinnamon in the 1947 gin), fennel, anise, lemon, lime and cloves. The secret to Pickering’s gin’s smoothness is the stills’ ingenious, custom-designed ‘bain marie’ heating system. This means the botanicals enjoy a slow luxurious simmer, which coaxes out their subtle, soft and highly drinkable flavours. Everything is still done by hand at the distillery, from preparing the botanicals to dipping the bottles in wax. Pickering’s signature release is based on the old Bombay recipe, but tweaked slightly to suit the contemporary palate. The result is a spectacularly smooth, refreshing and flavoursome gin. Fresh, light and bold flavours of citrus and juniper give way to intense warming spice of cardamom, coriander seed and clove. It’s at its best when served with ice, tonic and a slice of pink grapefruit. Pickering's 1947 Original Gin is made precisely to the original recipe, as it was written down in Mount Mary, Bombay, in 1947. Here the botanical mix includes cinnamon, which adds a decidedly warming and spicy kick to the spirit. Spicier, sweeter and more intense, it’s a decadent trip back to the last days of the Raj. Cardamom, coriander, clove and cinnamon spice lead to a crisp, refreshing and long finish. It’s delicious with ice, tonic and a wedge of orange. For a more warming drink, substitute tonic water for ginger ale. Take the spiciness of 1947 Bombay. Add a warming, zesty twist or two. And boom: a classic cold weather hot toddy that puts the win into winter. Method: Heat up 125ml of cloudy apple juice, drizzle in 1 teaspoon of honey then squeeze in a generous amount of lemon. Finally, at the last minute, add 35ml of the Best British Gin 2016 (that’ll be Pickering’s 1947 Original). Garnish with a cinnamon stick and a lemon twist. Method: Add everything to an ice-filled shaker and shake vigorously for 20-25 seconds. Double strain into a well-chilled coupette glass. Garnish with twisted orange peel.